If you are experiencing pinching, cracking or swelling of the meniscus, it’s time to start paying attention and get proper care. In the case of ongoing problems with meniscus, you might need knee surgery, which will protect you from secondary arthrosis. People who actively participate in sports or people with meniscus problems can treat damaged meniscus with strong nourishing and anti-inflammatory supplements. 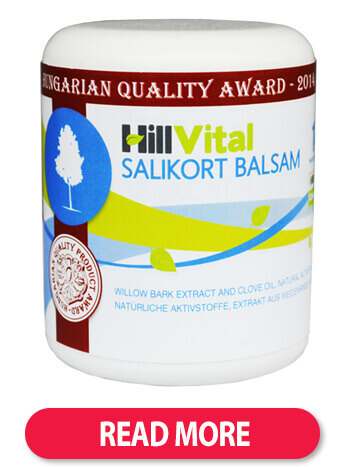 Salikort is a useful cream which absorbs easily and immediately starts healing affected tissues. Our natural meniscus renewal product is based on the original recipe containing aloe vera, camphor and willow bark. These herbs help renew damaged meniscus cells. Salikort also contains a natural anaesthetic which helps to reduce pinching and cracking sensations in the knee. 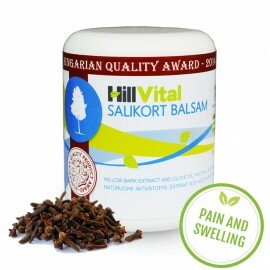 Analgesic elements in our balsam help relieve pain. They are very effective in treating chronic and persistent diseases. For intense meniscus renewal, we recommend support from within. Experts recommend complementing your treatment with proper nourishment. 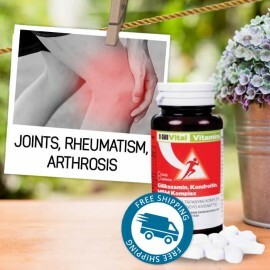 Glucosamine, MSM, Chondroitin with rosehip extracts help with regeneration and absorption. 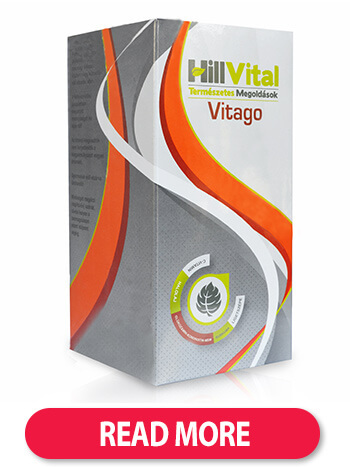 Our complex vitamin pack Vitago provides an overall revitalization. Natural composition with glucosamine, MSM and chondroitin is supported by other essential ingredients. Consumption of Vitago and GLucosamine, MSM, chondroitin will help you regain healthy mobility, eliminate meniscus overuse and support recovery. For faster results, complement your treatment with our herbal tea blend Tea Go. These herbs will help support meniscus regeneration and ease post-injury complications. Herbal pain relief to improve quality of life. 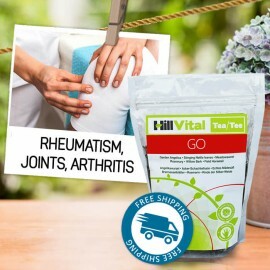 HillVital products for damaged meniscus contain natural analgesic - Willow Bark, Comfrey and other effective herbal extracts to relieve pain, swelling, inflammation. Damaged meniscus is accompanied by various unpleasant and painful symptoms. You can be experiencing sharp pain or a knee rupture. Other symptoms can include decreased mobility and fever. An obvious sign of a meniscus damage is a swollen knee. Besides the swelling, the knee can become flooded with fluid or blood. Decreased mobility and fever are among other common symptoms. Meniscus problems can be caused by variety of reasons. Common daily pressure and overload put on meniscus can lead to complications. Repeated or excessive overload can lead to injury while playing sports or conducting fast movements. Meniscus can become damaged or cracked. People who are experiencing joint or bone problems are more likely to experience meniscus problems. Treatment depends on the level of meniscus damage. Swollen meniscus should be treated with an icy compress applied to the affected area. In case of more painful symptoms , it is recommended to use proper preparations that stifle pain, nourish joints and cartilage and eliminate swelling and inflammation. Less difficult treatment is carried out in a conservative way where an expert recommends rest and immobilisation. With chronic and repeated meniscus problems, it is recommended to undergo knee surgery known as arthroscopy.